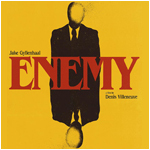 In our April 2014 installment, we err on the side of brevity and offer our most concise podcast to date: a discussion of Denis Villenueve's new film Enemy, starring Jake Gyllenhaal. WARNING: this episode contains full spoilers for the film, but if you've seen the film you know how much there is to discuss and won't want to miss this episode! 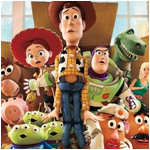 Let us know your thoughts and theories on the film. Tweet us @ghostsoffilm or email us at podcast@ghostsoffilm.com and your feedback could be featured in a future episode. 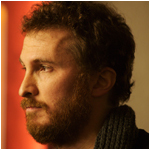 In this month's episode, we discuss one of our favorite filmmakers, Mr. Darren Aronofsky. A massive influence on our creative lives from the time we started cutting our creative teeth, we dissect Aronofsky's back catalog with musings on Pi, Requiem for a Dream, The Fountain, The Wrestler, and Black Swan and look ahead to his upcoming feature Noah. We want to hear from you! Your favorite Aronofsky film, your favorite character / performance, your pick of the singular most disturbing scene in any of his films (e.g. Harry's arm, Nina's cuticle, etc.). Tweet us @ghostsoffilm or email us at podcast@ghostsoffilm.com. After a long hiatus, we are finally back (for good this time)!! 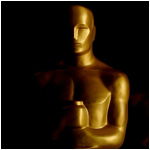 This month we discuss our personal Oscar predictions, as well as the updates to our website. We want to hear from you! Your predictions, any gems you saw last year that we neglected to talk about, what you want to hear more of on future shows, etc. Tweet us @ghostsoffilm or email us at podcast@ghostsoffilm.com. 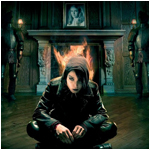 In our triumphant return to podcasting we discuss our favorite films of 2010. What, it's 2011? Yes, that's because we like to digest our films and give them space. We also talk about what's going on with us and news about the website. Those wanting to skip to the film talk go to about 15 minutes in. This week we discuss the horror genre. We will muse on some of our favorite horror films, some terrible ones, and what we can do to fix the ailing genre. 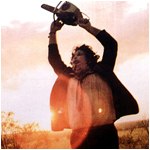 This includes talks on such films as Carrie, The Shining, The Exorcist, The Devil's Backbone and the Saw series. A discussion on some films we've seen in the recent weeks as well as our spankin' new website. 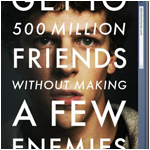 This includes musings on The Social Network, Never Let Me Go, You Will Meet A Tall Dark Stranger, Let Me In, and *gasp* Jackass 3D. This week's victim on ANDREW'S RANDOM RANT OF THE WEEK: indie "thriller" Catfish. 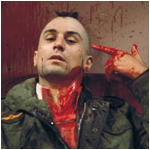 A discussion of some of our favorite characters in film history. Also, musings on Arcade Fire's The Suburbs, frustrating transportation systems, Let The Right One In, and responses to listener emails. This week's victim on ANDREW'S RANDOM RANT OF THE WEEK: The NYC Subway. 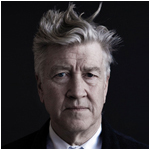 A discussion on David Lynch, his films and his influences on us. Also, musings on Modest Mouse, meth-faced actresses, and the upcoming site. This week's victim on ANDREW'S RANDOM RANT OF THE WEEK: Cameron Diaz. Our top 5 films of the year so far, and introducing Andrew's RANDOM RANT OF THE WEEK. Pardon spotty audio quality near the beginning, it gets better. It's the very first episode! Full of fun, fury, and...some other stuff. Episode Zero of Ghosts of Film. An introduction to future plans.